SMS conversations in secret, Many apps for chatting are available on the iTunes. Using those apps you can talk or SMS With your friends, relatives and much more with each other. But sometimes you have fear on your face related to chat (SMS) conversion and feel that if the conversion will read by the family member or guardians. But here I give tips by use of one iOS app for protecting your chatting conversion. In your life sometimes you have to need to hide your chat in your iPhone. New Updates in iOS 10 iMessage added too many effects to every text conversation. One of the most popular iMessage text effects is invisible ink that helps iOS Users to Temporary hide your discussion at a glance using invisible ink mode. Still, apple not planned two-factor authentication or passcode for your Message app that unable to open or unauthorized access from home screen. But users are waiting. I found the standard solution that iPhone/ iPad users are too much like for more fun and privacy reasons. 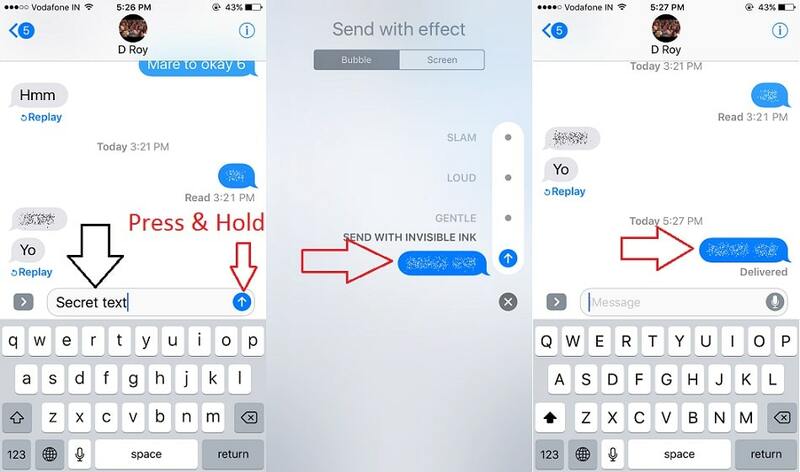 Let’s see how to send an iMessage text message with invisible ink effect on iOS 10 or later compatible iDevices (Ex: iPhone XS max, XS, XR, X, iPhone 8, iPhone 8 Plus, iPhone 7/ 7 Plus, iPhone 6/ 6S, iPhone 6/6 Plus, iPhone 5S/ 5). 2. Type text in the Message box as an iMessage. Tap and Hold on Upper Arrow blue send icon, until you see screen effects. 3. Next, tap on invisible ink and send it. At the recipient, and the message will show blur until the user doesn’t try to see with a single tap on a text message. If we forgot to delete text or Picture/ image from the conversations, then it’s ignorable, Because no one can try to read all talk by tapping each text. RELATED: iMessage Bubbles Effects, Handwritten Text Message, Love Heart effects. Open Facebook Messenger, Go to Messenger profile by a tap on the name of the recipient. Find Secret conversation. 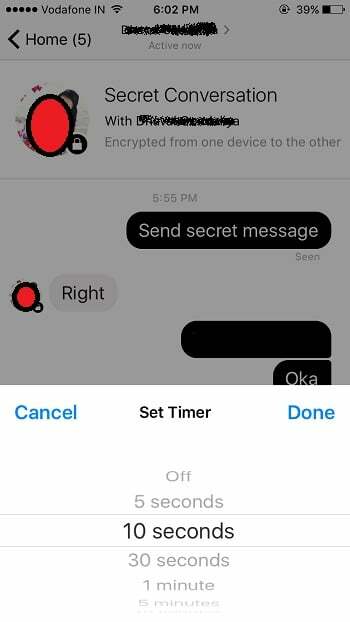 Once you are in Facebook Messenger, secrete conversation mode, Text message box show another option for the timer. How long you are interested in keeping every text message in your Message conversation. The maximum time limit is 1 minute. 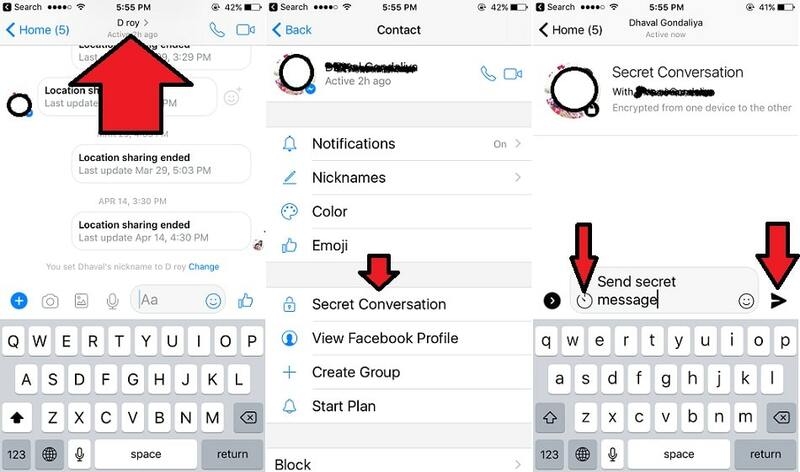 Messenger Secret mode support picture or Video message. Stickers and emojis are also the fantastic ones to send as a secret Mode. In short, we can share all the things that we are using and send in regular mode. Apart from location share and Video clips. That’s it. Enjoy Secret Mode. Pysl apps is a Best Secret chat hide and protect from other. Rikk created this application. Therefore, iPhone users could Protect Your Secret Life. Moreover, this app got an excellent review by iOS user, and I hope you can follow it very quickly and understand too. 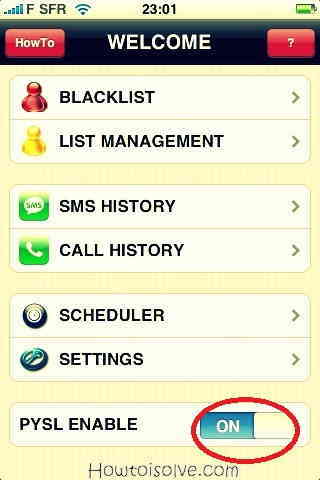 By application, you can allow also blacklist SMS chat and Wishlist SMS chat by using the chat filter. After then you can see hide area by password cause of you can do your conversation secret with use of Password. Type of filter which you want to select one of them. Now start step for How to keep chat conversion privately. Follow all step to SMS conversations in secret. Now text Pysl in the search bar and search it after the type. You will also be returned to the Blacklist screen. Here we have the options to enable three switches. If you wish I’ve enabled SMS STOP to hide SMS for this person, then hit the Add contact to list. You will then be returned to the Blacklist. Hit the Back button at the top left side of the screen. 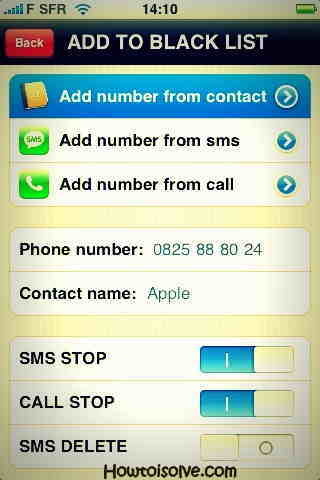 For just test, you can do send an SMS to the person you just added to your Blacklist. At the end Select SMS History from the Greeting Screen. Keep in touch with us Dear friends for more information regarding iOS updates, on New in iMessage or Other social chat text message app like FB Messenger, Instagram, Viber, Line, etc.